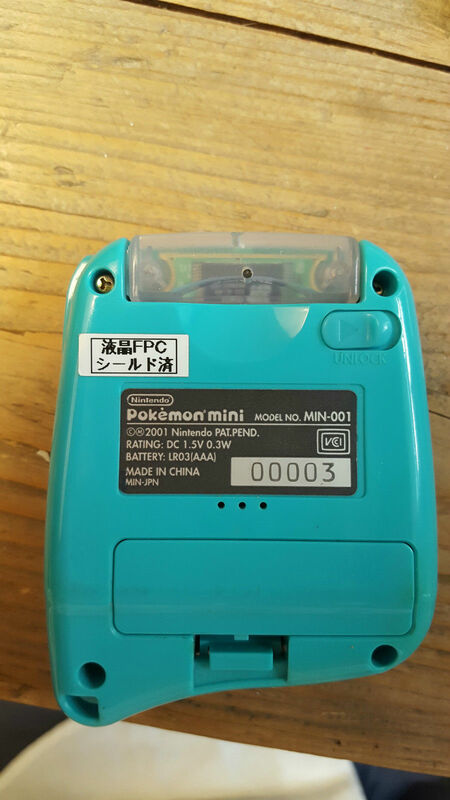 Recently, an extremely rare teal-colored Pokémon Mini prototype handheld was found having been sold on eBay! This mysterious device was reported by the seller not to be working anymore. 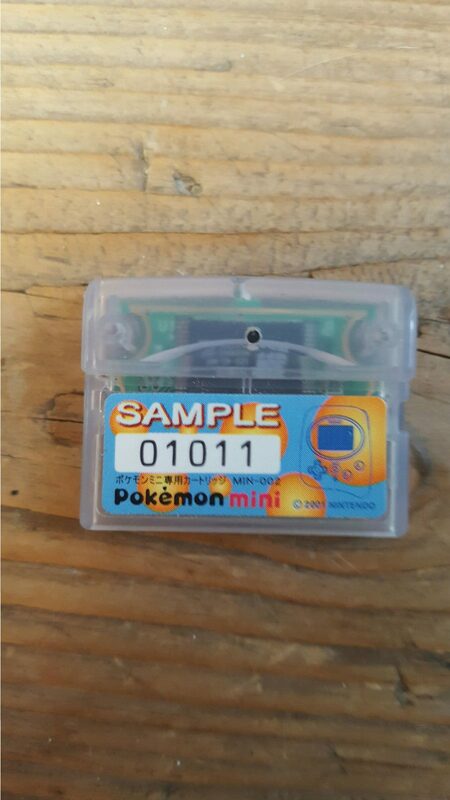 It includes a mysterious game cartridge with the label reading “Sample 01011” and has a serial number printed on the PCB that reads “MIN-KCFO-01”. It is unknown what this game cartridge holds. 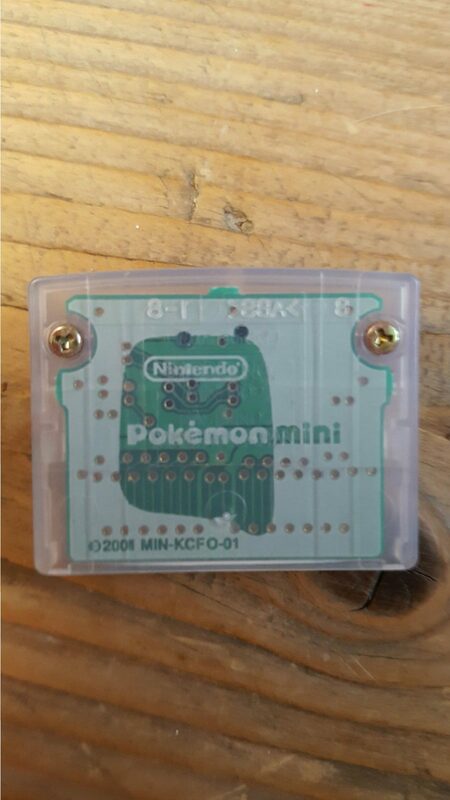 Could it be a work-in-progress Pokémon Mini game that was never released to the public? 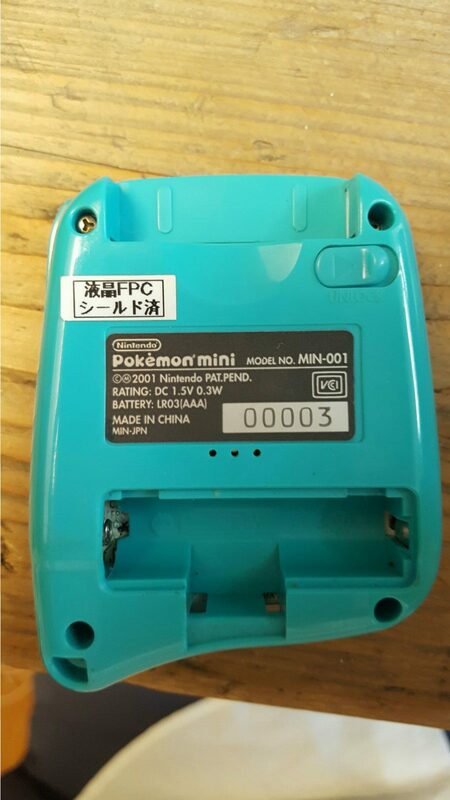 Perhaps it contains blueprints to the Pokémon Mini console? We will unfortunately never know since the buyer remains anonymous for now. 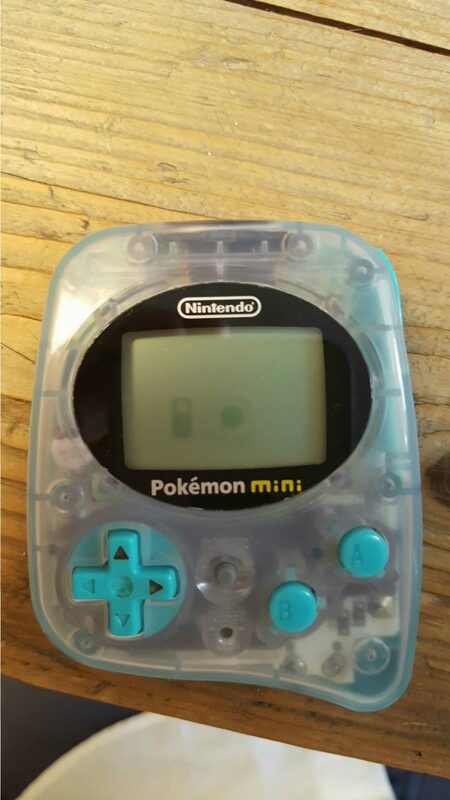 We at pokemon-mini.net congratulate the buyer for picking up this very rare item. We hope that the buyer contacts us so we can support him at resurrecting this mysterious device and unravel the secrets it may hold. I noticed that on the Sample 01011 cartridge that it says MIN-002 under 01011. I’m not sure if you guys have noticed this or what if anything you may be able to find about that. The fact the the model and bios are both called MIN-001 makes me wonder as to what MIN-002 would be. Please message me back with any information you may have on that. I think MIN-002 is the cart itself. Nintendo gives almost everything a module number. MIN-001 is the Mini itself. So MIN-002 is the cart. I just noticed that this model has a clip style battery cover. For a while I had questioned whether somebody perhaps made a high quality injection molded shell to make a custom color, but that’s clearly not the case here. This thing is legit! Wish they would have had even more colors; this one is awesome! Wow! Didn’t notice the battery cover till now. Odd they didn’t keep it. There must be more of these out there. I wonder how we could find out who worked on the PM to get some insider information. have you guys noticed that it has a slightly lighter color that the wooper blue? it could be that it was a new totodile blue colour, but it could be just the lighting, so I’m not sure. Huh I hadn’t noticed the battery cover either! That’s interesting actually. It’s a shame we never got more info on this, I hope it turns up again at some point and didn’t end up with a collector that isn’t willing to share. Also the prototye logo on the back and cartridge!